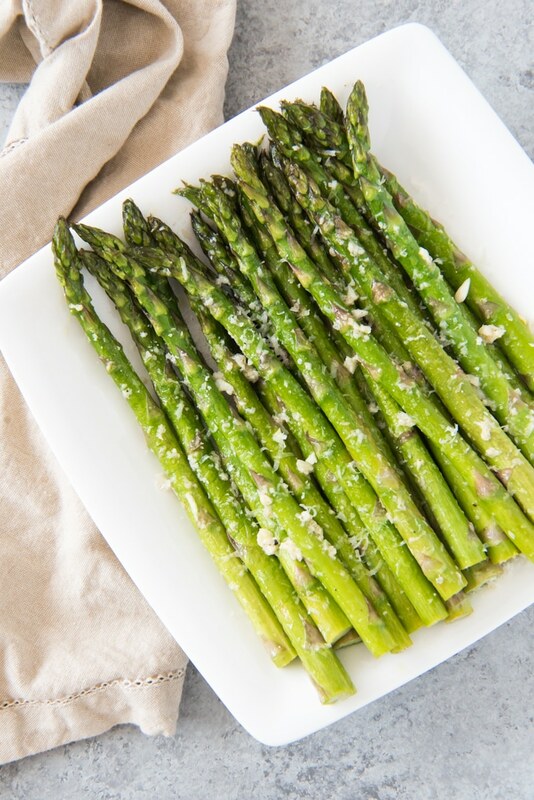 It’s easy to make oven roasted asparagus and everybody loves this simple, but flavorful take on one of the best Spring vegetables! Asparagus is one of my favorite vegetables, especially in the spring. We often eat it prepared simply with just a little olive oil, salt and pepper. But I LOVE the lemon, Parmesan, and garlic flavors in this version and if you take just an extra minute or two to grate some fresh Parmesan, mince a couple cloves of garlic, and juice a lemon, you can have an impressive and incredibly flavorful oven roasted asparagus side dish that is perfect for a holiday dinner or even just your typical weeknight meal. It goes wonderfully with pan seared steaks, roasted chicken, or grilled whole fish. This oven roasted asparagus would be perfect alongside your ham, cheesy potatoes and knotted orange sweet rolls for Easter dinner. And any leftovers are delicious the next day as well, either eaten cold in a salad, over eggs at breakfast or just reheated. 0 Response to "OVEN ROASTED ASPARAGUS WITH GARLIC, PARMESAN, & LEMON"